Plans for a major new centre for research and development in the vibration engineering sector are in the final stages of development at the Universities of Exeter and Bath. In Exeter, the purpose-built facility will feature a state-of-the-art VSimulator were, for the first-time, researchers will be able to link structural movement and environmental conditions alongside human perception monitoring, psychology and physiology, all within a fully controllable virtual environment. At Bath, the VSimulator facility will focus on sensory perception of external environment and surroundings, and feature controls over room lighting colour and intensity, temperature, humidity, noise, air quality, and scent. While the Bath facility will focus primarily on exploring motion in tall buildings, both will offer the opportunity to analyse the human impact of environments whilst enabling full data capture. VSimulators at the University of Exeter will be located at Exeter Science Park and open in 2019; the University of Bath’s will open at the end of this year The initial environments to be studied in this EPSRC-funded project include walking across bridges, working in high-rise office blocks and dancing in a crowded stadium. The VSimulators will recreate the impact of subtle motion in these spaces to enable a better understanding as to how this could affect the wellbeing of people, their work performance or behaviour. The Exeter VSimulator scenes are being created by ‘Experience Designers’, Holovis, specialists in multi-sensory training and simulated environments. 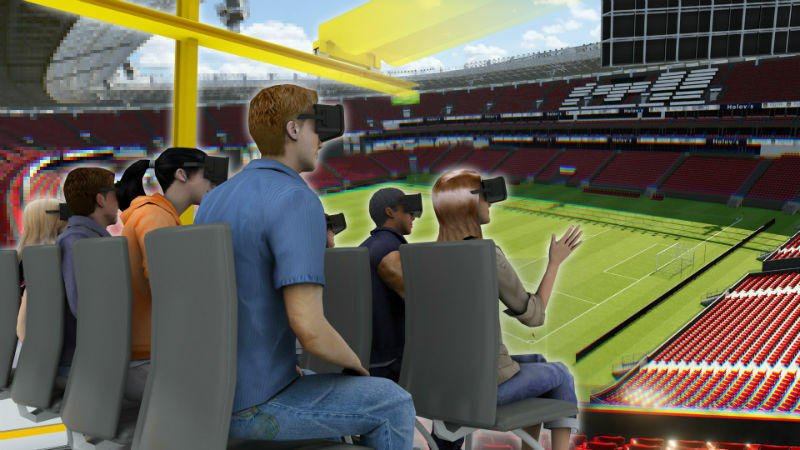 Virtual reality (VR) will provide the ability to deeply immerse people into the desired scenarios, with up to nine participants able to take part simultaneously. The 4×4 metre space is affixed to a custom-designed Hexapod motion platform with freedom of movement in six directions. It was designed by E2M Technologies in Amsterdam, creating a fully instrumented floor capable of data capture and analysis. 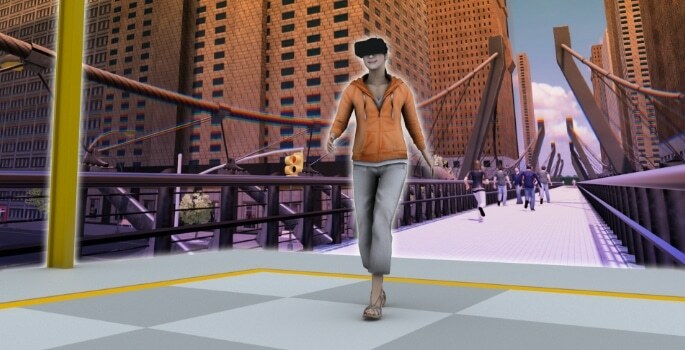 People can move freely around this space, seeing avatars of the other participants in the virtual world, tracked to their unique perspective. Alternatively, the space can recreate an existing environment, with physical objects placed where a virtual equivalent would be located. In this way, the facilities are capable of being customised to fully explore the sensory immersion and human factor responses. Each person’s movements and reactions are captured via full body monitoring, with the metrics helping the team devise solutions to mitigate impact and assist designers, planners, architects and engineers in future construction or refurbishment of buildings. There are also uses beyond construction and civil engineering, with interest being expressed by the medical community, biomechanics specialists, the entertainment industry, sports scientists, psychologists, marine, autonomous vehicle, data science and VR developers, amongst others. Julie Lewis-Thompson, Commercial Manager for the VSimulators project, added: “We have identified 38 industry areas for exploration, with interest from an expanding global based clients list, both within industry and academia.